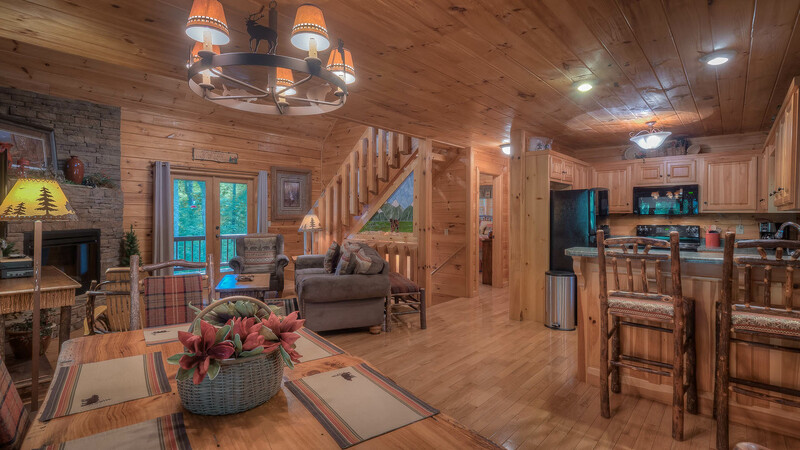 This gorgeous cabin is definitely a treasure nestled in the beautiful Blue Ridge mountains! Blue Ridge Treasure is furnished with only the best in mountain decorations and accessories. 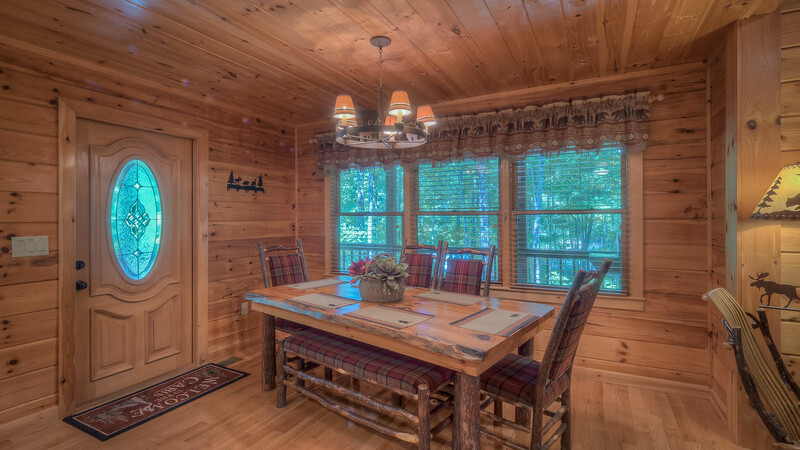 The entire cabin has high end furniture and accessories and was professionally decorated by Charlotte Sisson Interior Designs of Jerry's Mountain Furniture! You will drive up to find a nice level pull through driveway. First you will walk onto the huge wrap around covered porch with plenty of room for your whole group. You can sit in the rockers and relax while taking in the beautiful view and serene mountain setting. Once you enter the greatroom you will be greeted by a dining table large enough for eight to sit comfortably, lovely kitchen with black appliances and living room with cozy fireplace in the sitting area. 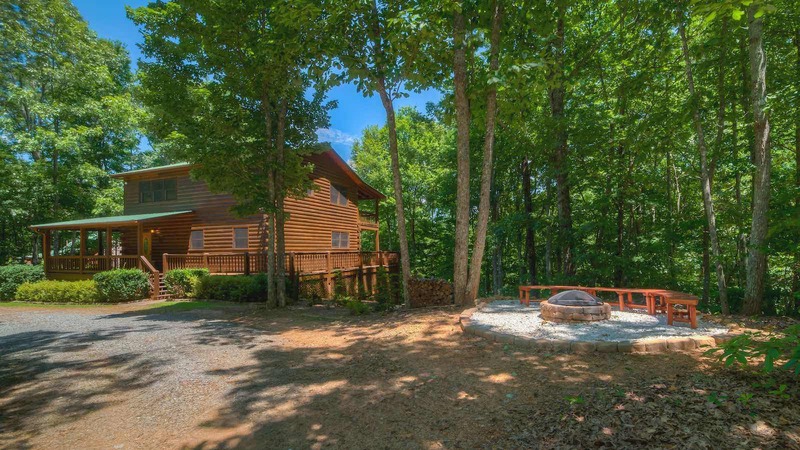 The sitting are features a large flat screen TV and double doors leading onto a covered porch with plenty of seating to take in the fresh mountain air. A gorgeous piece of handmade stained glass divides the Living Room from the craftsman-style square log staircase. This main level also has a full bath and bedroom with huge queen size log bed with its own double doors leading on the covered wrap around porch. After you take in the main level you can go upstairs to the master bedroom. This master suite has a log queen bed, double glass doors that open onto a private covered balcony and a full bath with a large jetted garden tub and shower. In addition to the master suite there is an open loft with two upgraded futons for extra sleeping. The lower level has a third bedroom with queen size log bed and full bath along with a nice game room boasting a pool table and tv with satellite. Venture just outside the lower level to the hot tub and soak your cares away! 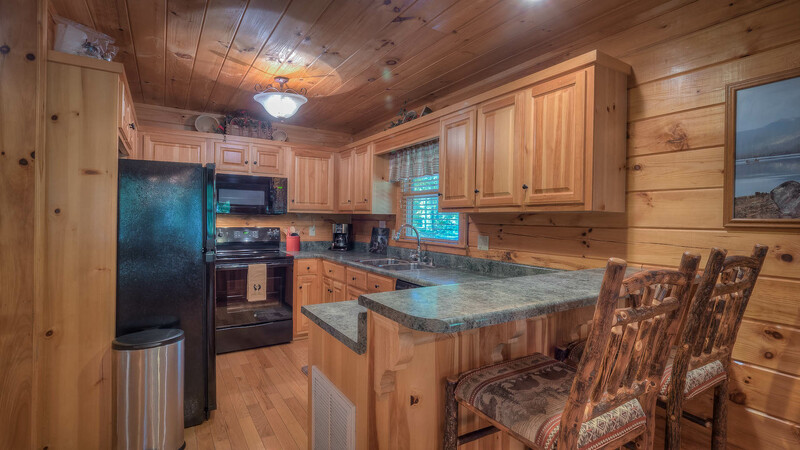 Blue Ridge Treasure is fully equipped with all the must have amenities for an unforgettable trip! 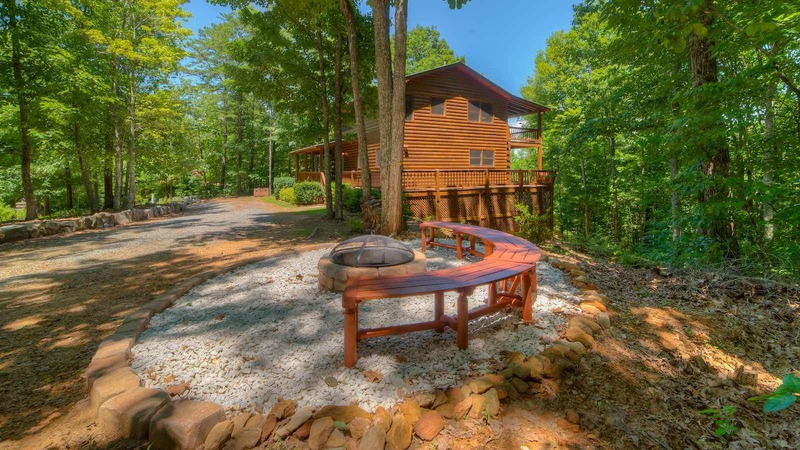 This is definitely one cabin you will never forget! 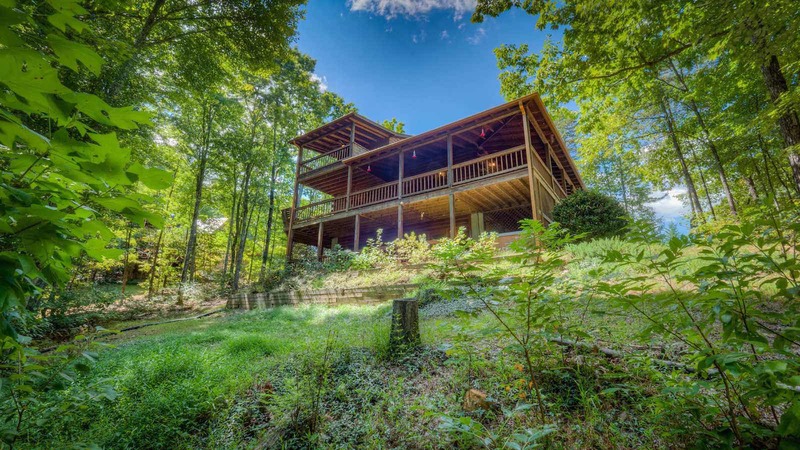 Appalachian Getaway is also located nearby within walking distance.